I didn’t feel like venturing too far from home tonight, so I went by myself to Academy Tavern on Larchmere Boulevard for their fish fry. 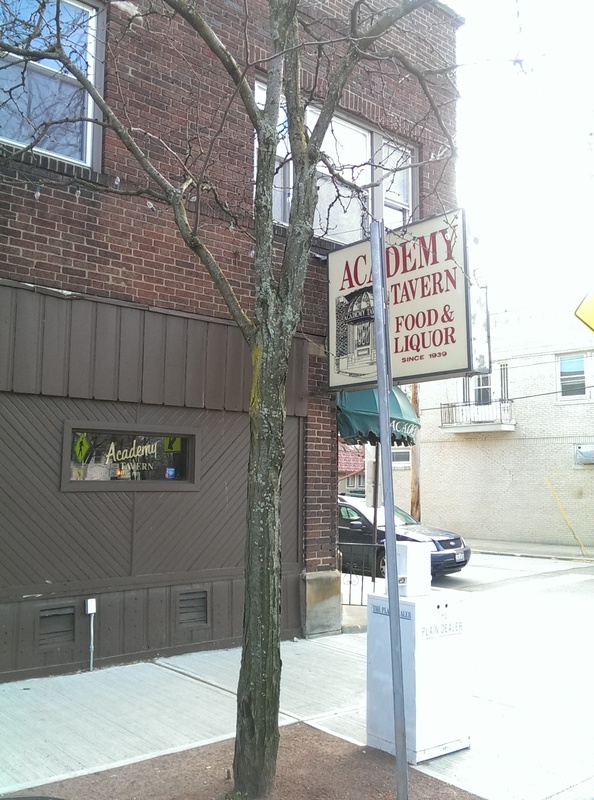 Recently featured as one of the oldest bars in Cleveland, Academy Tavern has been in business since 1939 and has been doing a fish fry most of that time. It runs from 11 a.m. until 11 p.m. on Fridays. 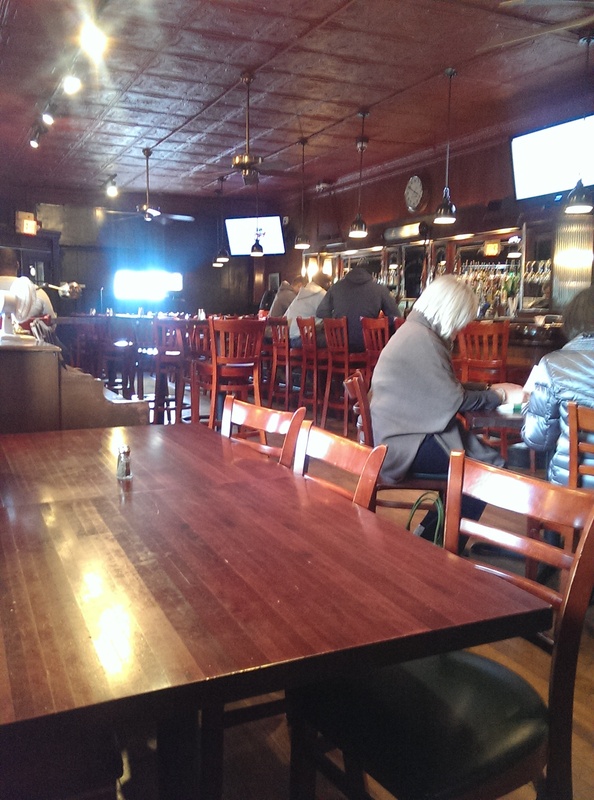 This place definitely has character – both in the decor and the patrons. I can picture the bar full of hard-working men drinking after work. And apparently it was spruced up recently and the menu was updated. I didn’t feel like eating pierogi today, so I stuck with a bowl of clam chowder and the fish fry. I went before the dinner rush, so the waitress told me to sit wherever I wanted. I chose a seat towards the back, and she came right over and took my order. She was soon back with my clam chowder. 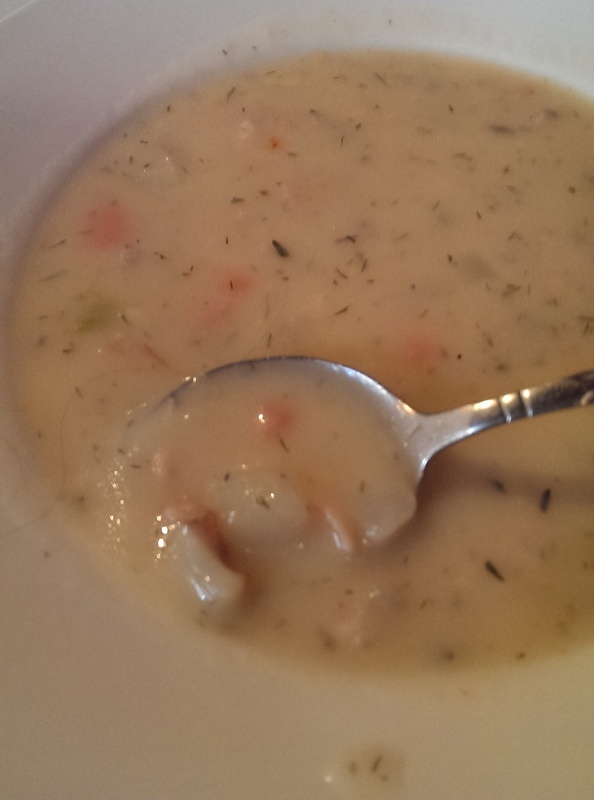 The clam chowder was loaded with clams and obviously freshly made. It was very heavy on the dill, so if you don’t like dill be forewarned. It was very good and very filling. I definitely can recommend it. 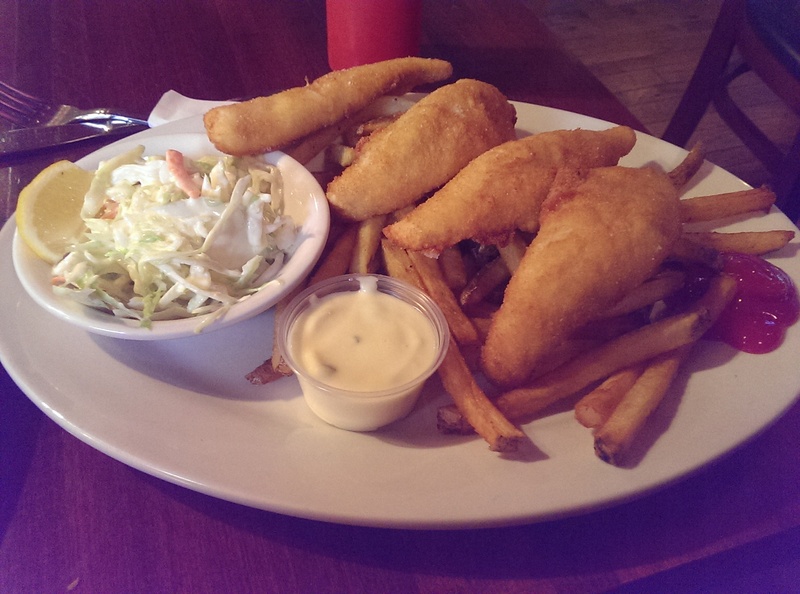 The fish fry offers you your choice between perch or pike. Both come with fries and slaw and fetch $15. I went with the perch, although I was very tempted to order the Pineapple Pepper Trout, which is a special this month. I’m a sucker for rainbow trout. But it is Fish Fry Friday, so fried fish it is. The fish was perfectly fried as well as flaky and tender. The tartar sauce tasted homemade, and I really enjoyed it. The coleslaw was creamy and delicious, and the fries were a nice accompaniment. I ended up taking half of my dinner home (I’m sensing a pattern here…). It will be great as a sandwich tomorrow. I’m on the fence whether I will go to a fish fry on Good Friday. To be honest, I’m kind of fished out at the moment. For many of the church fish fries this is the last day of their season. I guess I’ll just see how I feel on Good Friday, although to be honest that is actually the only day that Lutherans aren’t supposed to eat meat. If I plan to go to a fish fry maybe I’ll be sure to stick to it. Or I might just go get some sushi. In any event, I hope you all enjoyed this little series. I know I did.